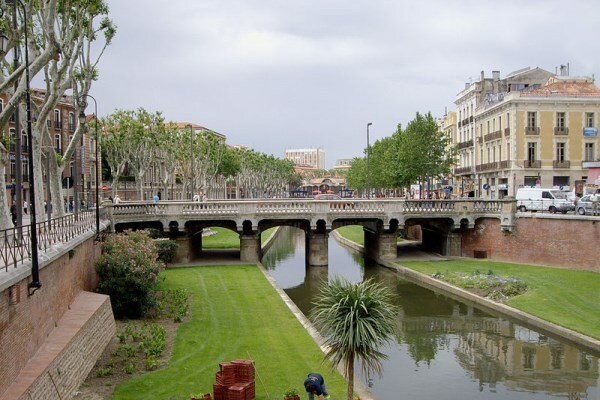 Perpignan is a Catalan town situated a few kilometres away from the Mediterranean. At the Castillet de Perpignan, former gate of the city, visit La Casa Païral, the Catalan Museum of Popular Arts and Traditions. 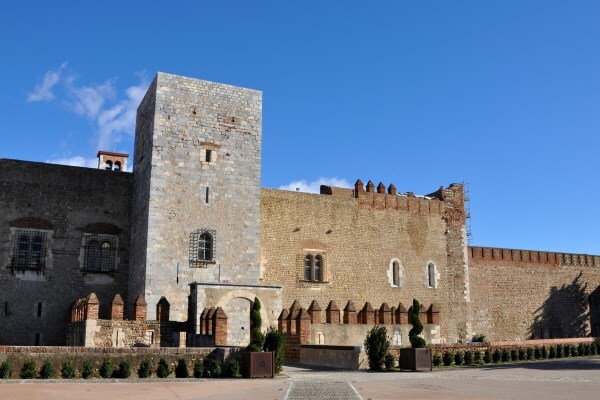 In the Citadel of Perpignan stands the Palace of the King of Majorca dating from the 13th century. In the past, the Loge de Mer of the Place de Loge has been a Maritime Consulate, Shipowners' market and theatre. It is now a cafe. In sunny Perpignan, you can enjoy the famous Gambas a la planxa and the local aïoli. Perpignan used to be the capital of the Kingdom of Majorca. The site has been occupied since the Roman period; the ruins built in that time, which still stand nowadays, testify of this long-time human occupation. Perpignan has a rich cultural life: fairs happen in January, May, and November; in June, you'll attend the International Art Book and Film Festival; the Guitares au Palais festival (literally, "Guitars in the Palace"), which lasts three days in August; in October, the Voice Festival (in French, "Festival de la Voix") gathers many musicians. You'll admire Saint Jean-Baptiste cathedral, the Palace of the Kings of Majorca, and the Castillet, which was the entrance of the ramparts, and was turned into a museum dedicated to Catalonian folk arts and traditions. It is a Mediterranean climate, with mild winters, and dry and hot summers. Average temperatures are 8.4°C in January, and 24.3°C in July. 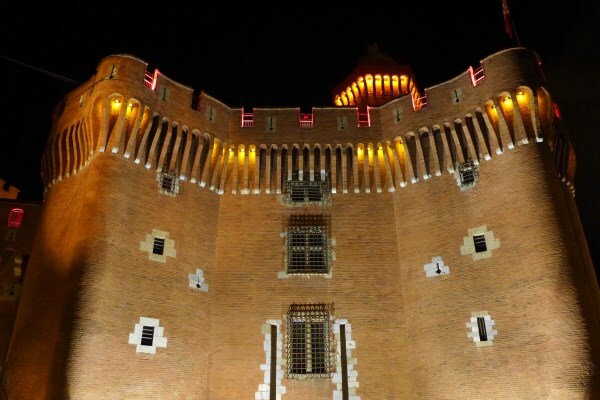 Perpignan's summers are bustling with life; nothing surprising there, since it is the most touristic season! Perpignan is only 20 minutes away from the beach and 30 minutes away from Spain: take this opportunity to travel further! Low budget: 29€ per night in low season, and 48€ in high season. Mid-range: 50€ per night in low season, and 74€ in high season. Luxury: 151€ per night in low season, and 123€ in high season. 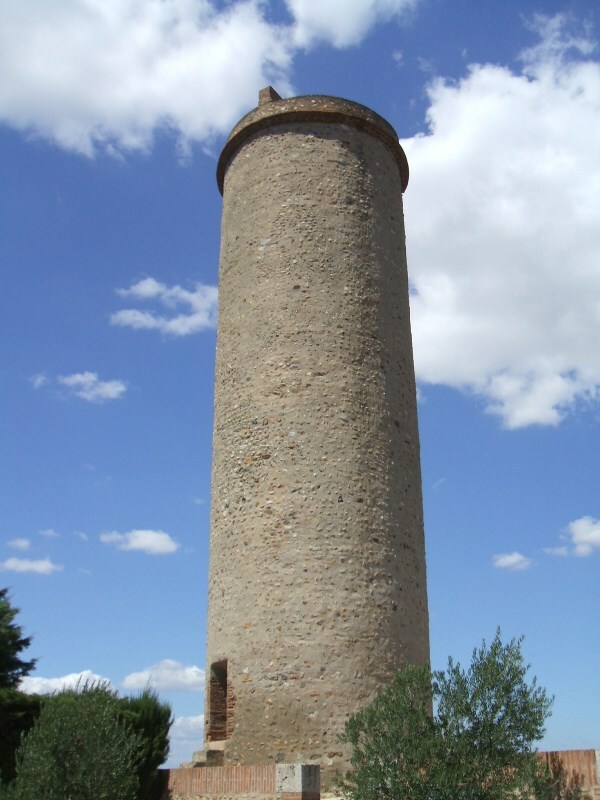 The district of Porta Espanya is rather far from the centre of town, hence it is much quieter. The centre of the city comprises many buildings, with numerous tourist attractions reachable by foot.